A brace (usually plastic) worn on the lower leg and foot to support the ankle, hold the foot and ankle in the correct position, and correct foot-drop. Abbreviated AFO. Also known as a foot-drop brace. 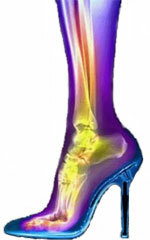 High heel shoes often squeeze the toes tightly together and bring the arch of your foot up too high and wearing the incorrect type or size of shoe can result in discomfort in your feet, ankles and legs. Some of the most common foot problems such as arch pains, corns, calluses and bunions can be relieved with the right orthopedic shoe. Even bone pains and ankle twists are preventable with the proper orthopedic support. While many people might say that orthopedic shoes are unattractive and unfashionable, there is a surprisingly large demand for custom-made orthopedic shoes. Many men and women have even gone to the lengths of obtaining a written prescription from their doctor for a specially designed orthopedic shoe. Diabetics and people with children who require the care of a Podiatric Doctor recognize that these orthopedic devices offer great health benefits, and have discovered that there are a lot of styles from which to choose. Orthopedic shoes are available in many designs ideal for both work and play. 1. Orthopedic shoes give added support and hold the foot safely in place through extended periods of activity providing additional comfort. Increased inner arches and improved heel supports are typically constructed from foam or gel modes providing extra support to the ankle area. Shoes with additional orthopedic support such as built-in braces or sleeves help to reduce or prevent ankle twists while softening any impact that runs up the lower leg bones while walking. 2. Orthopedic shoes are designed to alleviate foot pain, this feature can be very helpful to active people whose job or lifestyle requires extended periods of standing and or walking. Hard surfaces such as concrete and wood flooring, tend to increase the risk of damage to the bones in your feet and ankles. 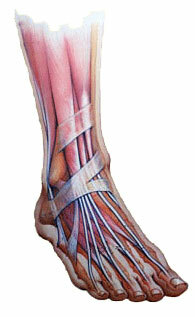 The innersoles found in most orthopedic shoes are (usually) made from a comfortable gel or foam. Orthopedic innersoles provide a softer surface for the foot and are adjustable to better reduce painful areas on your feet. 3. To help relieve the pressure of contact on troublesome foot areas, some orthopedic shoes incorporate a design which holds pads in place against corns, bunions, calluses and abrasions. Orthopedics’ counterbalance foot conditions such as drop foot and hammertoes which can result from wearing poorly constructed shoes that often deform the growing tissue in a young person’s foot. Orthopedic shoes also give you a more natural step action by correcting the positioning of the foot while walking. Orthopedic shoes are designed and manufactured to help develop the correct muscle alignment in your feet and legs. 4. As they stimulate and increase blood flow through the foot, the innersoles of orthopedic shoes play an important role in the proper blood flow through the feet. Some innersoles have a textured surface of small raised nubs to help stimulate the nerves of the foot and provide increased blood flow through the foot while decreasing the chance of swelling or hemorrhaging. 5. Orthopedic shoes are not just for senior citizens as they are becoming more stylish. People with sensitive feet such as those with arthritis or diabetes often wear orthopedic shoes. Where running or everyday shoes are great for the feet, men’s dress shoes are often stiff and squeeze the toes in a similar way to women’s high heeled shoes. Orthopedic shoes offer features such as Arch Support while most traditional shoes typically do not. Having arch support in your shoe will help absorb shock while keeping the foot in the proper alignment. As in other types of shoes, orthopedic shoes also offer extra width sizes. Many local shoe stores and online shoe stores now offer both orthopedic shoes and regular shoes in wider widths. Orthopedic shoe styles have also become more fashionable and less recognizable as specialty design. If you need individual help there are a variety of podiatric physicians who specialize in recognizing and resolving foot problems and recommending the appropriate orthopedic shoe style. Orthopedic shoes have become an accepted choice for people of all ages looking for solutions to common foot problems.